Marcelo Claure, founder of the 1Million Project Foundation, read an article in 2015 about America’s homework gap. The article included this startling fact: 5 million households with school-aged children in the U.S. are unable to do their homework properly because they do not have internet access at home. It also included stories of children going to school two hours early to use their school’s network or sitting outside of fast-food restaurants late at night, just to access Wi-Fi. Reflecting on how internet access had shaped his life, Marcelo believed more could and should be done to ensure every hardworking student has an equal shot at excelling in school. In October 2016, Marcelo announced the creation of the 1Million Project at a town hall event with President Obama. And, in 2017, the 1Million Project Foundation was formally established as a public charity with 501(c)(3) status whose mission is to help one million high school students reach their full potential by ensuring they have the devices and connectivity necessary to succeed in school and achieve their goals. Marcelo Claure, founder of the 1Million Project, is President and CEO of Sprint Corporation and a member of the board of directors of SoftBank Group Corp. He joined the company in August 2014 and is leading one of the most significant transformations in U.S. corporate history. Marcelo embodies the successful pursuit of the American Dream. He immigrated to the United States from Bolivia and later became a U.S. citizen. In 1994, he started his first business, a small retailer of wireless phones. In 1997, he founded Brightstar as a small, Miami-based wireless distributor that he transformed into the world’s largest global wireless distribution and services company with revenues exceeding $10 billion and a presence in more than 50 countries. Marcelo is a Young Global Leader of the World Economic Forum and a member of Ernst & Young’s Entrepreneur of the Year Hall of Fame. In 2016, the Carnegie Corporation of New York selected him as part of its “Great Immigrants: The Pride of America” initiative. Education has always been an important cause for Marcelo. More than a decade ago, he and Nicholas Negroponte co-founded One Laptop Per Child, an organization dedicated to providing low-cost laptops to children in impoverished communities. At Sprint, Marcelo created the 1Million Project to help bridge the digital divide and close the homework gap for 1 million U.S. high school students. He believes that every hardworking student deserves access to the devices and internet connectivity they need to pursue their dreams. Marcelo is also Chairman of CTIA – The Wireless Association and Treasurer of My Brother’s Keeper Alliance, a nonprofit working to eliminate opportunity gaps for young men of color. 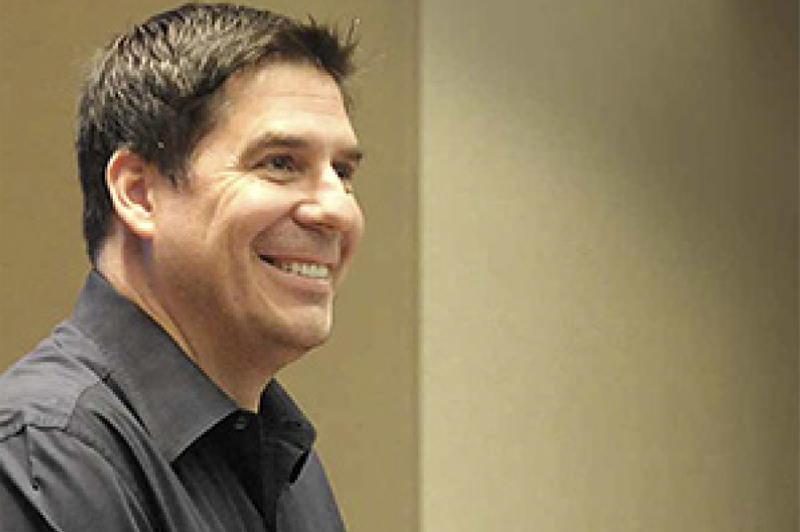 Marcelo Claure is executive chairman of the board of Sprint Corporation. He also serves as chief operating officer of SoftBank Group Corp. and chief executive officer of SoftBank International, and is a member of the SoftBank board of directors. Marcelo most recently was CEO of Sprint. You can read Marcelo's full bio here. Our District Advisory Council is made up of representatives from districts whose high schools are participating in the 1Million Project. Together, these representatives serve as our deepest thought-partners, offering insights, guidance and reality checks as we seek to improve and expand our efforts now, and in the coming years. Each member of our team is personally and professionally committed to helping students across America achieve their full potential. We’re honored to do this work, and we consider it a privilege to be in service to others. Most of us are parents, and several of us would have been eligible to receive devices from our respective high schools (had the Internet existed when we were in high school!) Although many of our team members are in Kansas City, approximately half of us live in other parts of the United States.